I'm currently working on a combat game developing tool. This soft is powered by TV3D. 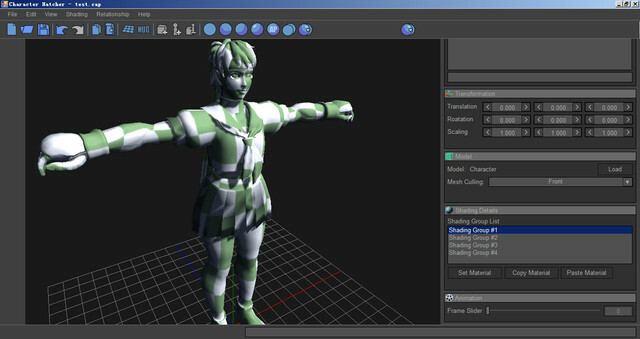 I am also writing a rendering framework extended from TV3D. 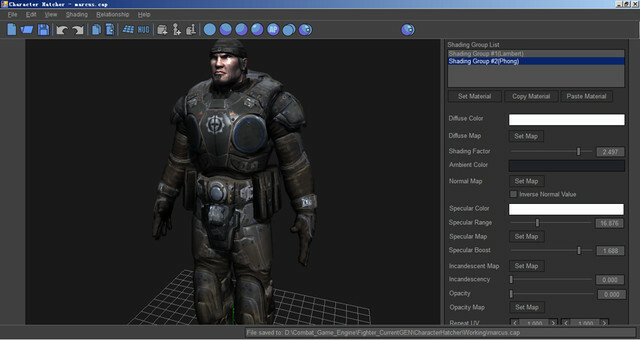 Here are some images showing how the character builder works. Marcus being rendered under my soft. 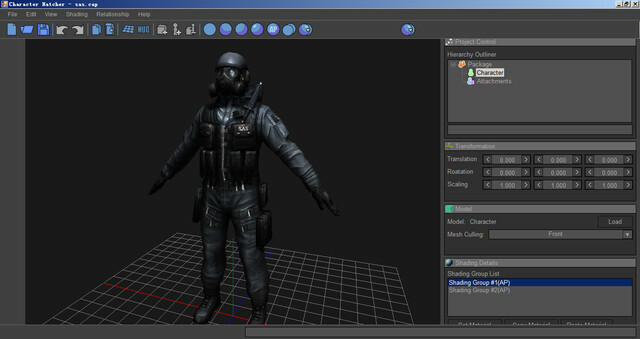 An sas soldier w/ a diffusemap and a normalmap. Blank material(Imported from Maya and all the shading groups unassigned). 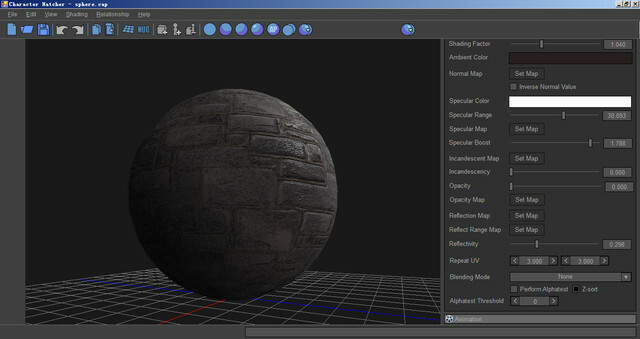 All purpose material test with a reflection map.